CHARLOTTE AMALIE – A 38-year-old Estate Tutu man was arrested on burglary charges in connection with an incident that happened last week, according to the Virgin Islands Police Department. Sean Stridiron was arrested at 2:13 p.m. Friday and charged with third-degree burglary and unauthorized possession of a firearm, in connection with an incident that occurred on Tuesday, the VIPD said. 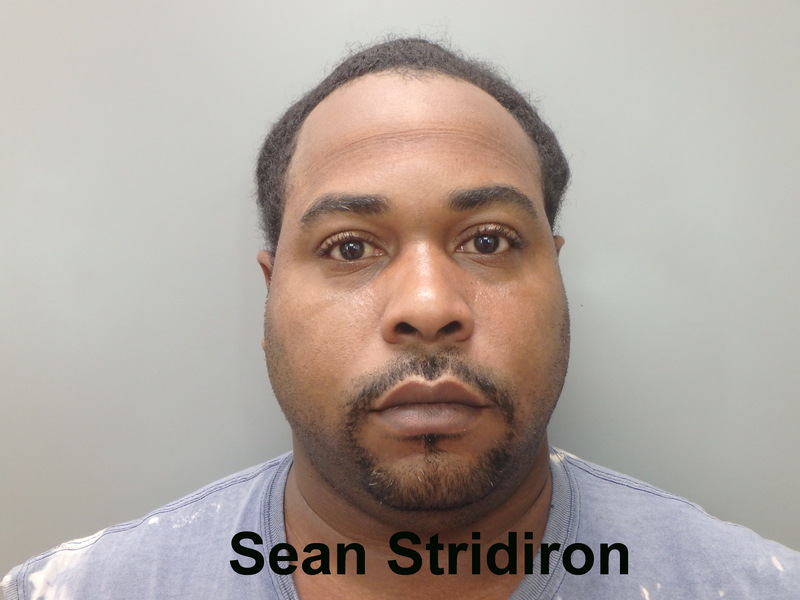 Stridiron’s arrest comes after he was positively identified by a man who said he removed several items from his business, hours after closing hours about 12 a.m. August 4, according to police. The man also said Stridiron struck him on the head with a beer bottle that same morning, causing a laceration to the left side of his face, which required four stitches to close, police said. Stridiron was also charged with possession of an unlicensed firearm after he turned over a Taurus .38 caliber special to arresting officers, according to police. Stridiron also admitted to removing items from the victim’s business after the business was closed, in addition to admitting that he did not have a license to carry a firearm, police said. Bail for Stridiron was set at $75,000.00. Unable to post bail, he was remanded to the Bureau of Corrections, pending an Advice of Rights hearing.